Qualcomm Antitrust Litigation alleged that Qualcomm made a commitment to standing setting organizations broadly sell its patented chips. Did you buy a cell phone in the United States from February 11, 2011 to the present? If so, a massive class action has been certified by a federal court in San Francisco that most assuredly will assuredly find its way to the U.S Supreme Court. 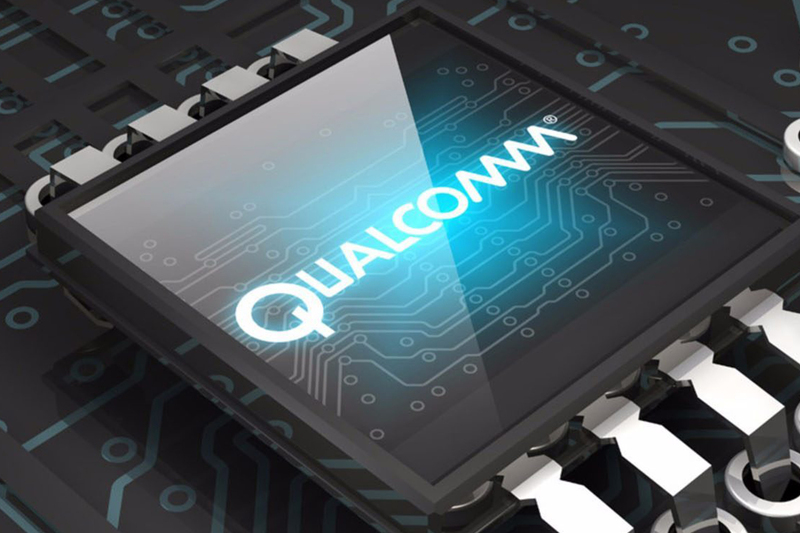 Plaintiffs in the massive certified class action of In Re Qualcomm Antitrust Litigation alleged that Qualcomm made a commitment to standing setting organizations broadly sell its patented chips. However, they only sell and provide licenses to end users, not competing chip makers, and demanding a percentage of all cell phone sales to purchase their chips, violating antitrust laws and causing consumers to pay higher prices for cell phones due to the lack of competition. This class action is part of larger consolidated action, including the Federal Trade Commission (FTC) enforcement action, regarding Qualcomm’s high royalties and policies to maintain its dominance in the lucrative cell phone modem chip market. The major issues of the class certification motion were the plaintiffs’ experts’ methodologies, the size and hence unworkability of the class, and that consumers cannot prosecute a class action under federal anti-trust laws based upon the Supreme Court’s ruling in Illinois Brick Co. v. Illinois, but are proceeding under California law. For those unfamiliar with the technical world of cellular phone technology, we must commence a short discussion of basic cellular phone technology and their accompanying acronyms. SSOs – “Standards Setting Organizations” prime activities are developing, coordinating, promulgating, and producing technical standards for an industry. Think of all railroad tracks having the same dimensions so trains can be produced for all locations. GSM – Global System for Mobile Communications standard. CDMA – Code Division Multiple Access Communications standard. Those travelling abroad are familiar with toggling your cell phone settings when landing in a foreign country. SEPs - “Standard Essential Patents” cover technology that is incorporated into a standard. For cell phones the standards are created by the various ‘networks’ such 2G GSM, 2G UMTS 2G and 3G-CDMA, and now the prevailing 4G. 4G standard is Long-Term Evolution (“LTE”). Most major network operators worldwide have deployed LTE. FRAND – “Fair, Reasonable, and Non-Discriminatory” is the standard created by SSOs that require participants to publicly disclose any claimed SEPs and promise to license them to all participants of the standard on a royalty free or FRAND basis. OEMs – “Original Equipment Manufacturers” of cellphones, Apple, Motorola, Samsung, etc. “Baseband Processors” are a ‘modem chip’ that permits you cellphone to communicate with a cellular communications network. However, since cellphone users wish to communicate with others using different types of cellular communications standard, or networks, “multi-mode” modem chips are necessary. These chips must be ‘backwards compatible’ to enable communications with phones still using older networks. In the class action certification proceeding, Qualcomm’s predominance in the CDMA chip market was essentially undisputed. Major cell phone carriers, such as Verizon and Sprint, use the CDMA chip. Qualcomm also has several other patents that have been declared essential to cellular communications standards. At the heart of this litigation is plaintiffs’ contention that Qualcomm is required to license its cellular SEPs on FRAND terms to OEMs, as well as competing chip suppliers but refuses to do so with a “No License-No Chips” policy, using its cellular SEP and modem chip monopoly to harm competition in specified markets. Plaintiffs contend that component suppliers rely on component sales to convey their intellectual property rights to OEM customers, as opposed to selling the components and entering into a separate intellectual property license. Hence, a supplier’s sale of a component to an OEM would exhaust their patent rights. Thus, it is contended that Qualcomm’s “no license-no chips” policy avoids regular royalty rates negotiations of Qualcomm’s FRAND-encumbered cellular SEPs. Plaintiffs contended that Qualcomm’s royalties fail to reflect the value of its patented inventions, and they are greater than those charged by SEP licensors competitors with similar technical contributions. Instead, Qualcomm’s license seeks a percentage of the cell phone price. OEMs do not challenge Qualcomm’s “no license-no chips” royalty policy as losing access to these modem chips would be a substantial loss to them given Qualcomm’s dominance in the market. Hence, the OEMs are coerced to accept Qualcomm’s terms to avoid any disruption in their chip supply to the detriment to consumers. Plaintiffs allege Qualcomm practices coerce acceptance of high FRAND licensing rates and terms for its SEPs as its “all-in” price surcharge is passed on to consumers through OEMs, distributors, and retailers and directly traced through a straightforward distribution chain. Qualcomm’s royalty rates are based on a percentage of the wholesale price of the entire handset, rather than the modem chip. Hence, the cell phone product market is inextricably intertwined with the CDMA and premium-LTE modem chip markets. Plaintiffs’ certification motion was based on California Cartwright Act and Unfair Competition Law. However, as the court noted that the parties made no attempt to distinguish these statutes and federal antitrust law it treated them together as a whole, using the federal act as the guide. An antitrust claim must prove (1) a violation of antitrust laws, (2) an injury they suffered as a result of that violation, and (3) an estimated measure of damages. The district court found that ‘typicality usually will be established by plaintiffs and all class members alleging the same antitrust violations by defendants’ as all class members allege the same injury stemming from the same conduct by Qualcomm. Similarly, the adequacy requirement was also met as Plaintiffs and class members share an interest in proving that Qualcomm’s conduct violated the antitrust laws and caused injury to consumers. The court also found predominance as there are sufficiently cohesive interests to warrant adjudication by class action rather than an individual basis when common questions present a significant aspect of the case and they can be resolved for all members of the class in a single adjudication. Qualcomm did not dispute the asserted antitrust violations are subject to common proof as lawsuit centers on Qualcomm’s monopoly in the premium modem chip. The court found that Plaintiffs provided substantial evidence Qualcomm requires OEMs to accept a separate license to Qualcomm’s cellular SEPs in order to gain access to Qualcomm’s modem chips, including the component supply agreements, on point admissions in interrogatory responses, and testimony of their former general manager of the modem chip division that Qualcomm’s “no license-no chips” policy has existed for almost twenty years. It was essentially undisputed that Qualcomm refuses to provide exhaustive licenses to competing manufacturers of modem chips. Qualcomm consistently applied this core policy to all modem chip competitors and did not point to any evidence of a deviation from this policy for any specific modem chip manufacturer. For instance, pursuant to two agreements, Apple would lose past and future lump-sum incentive payments from Qualcomm if Apple launched any new products that contained modem chips from a manufacturer other than Qualcomm. Finding that class issues predominate the court relied upon Qualcomm entering these exclusive dealings with Apple did not vary from class member to class member. The court found class issues predominate from the uniform policy of refusing to offer exhaustive licenses for its cellular SEPs to competing modem chip manufacturers. “Antitrust ‘impact’ or injury, indirect purchasers have a two-fold burden. The court found that plaintiffs must demonstrate that “all or nearly all of the original direct purchasers ...bought at inflated prices” and that “those overcharges were passed through all stages of the distribution chain” to Plaintiffs. Regarding direct purchasers, Qualcomm argued plaintiffs cannot show with common evidence that all or nearly all OEMs paid overcharges. Focusing on their methodology that overcharges were passed through the distribution chain to end consumer class members, Qualcomm argued that Plaintiffs cannot show common evidence that overcharges were passed through to consumers at each step of the distribution chain, and that a large portion of the putative class suffered no impact. Qualcomm noted the Plaintiffs’ expert’s methodology was OEM-specific without any explanation why the use of OEM-specific data defeats predominance. In response the trial court found plaintiffs’ expert to be ‘exemplary’ calculations (using the term four times in the opinion). Regarding the impact to indirect purchasers, the court noted that under substantive law consumer injury is presumed in anticompetitive markets, even when some consumers did not actually have to pay the overcharge. Moreover, the court explained that plaintiffs had supplied a reasonable methodology for measuring class-wide impact. Plaintiffs’ expert explained that economics predicts that higher costs of manufacture will be passed on to consumers, relying on academic literature suggesting that industry-wide costs are typically more likely to be passed through than OEM specific costs. Defendant’s expert did not rebut this literature, but merely stated that he was unable to find any articles to support an inference that an industry-wide reduction in royalty rates would be unlikely to lead to a reduction in price or an improvement in quality of handsets. Further, Qualcomm, OEMs, and wireless carriers treated Qualcomm’s royalty as a known component cost and included the Qualcomm royalty in their calculations of the total costs of cellular phones. Qualcomm’s internal analysis of the average sales price of phones demonstrated Qualcomm considered royalties as one component of the cost to OEMs to be incorporated in the price to retailers and thereafter incorporated into the price to consumers. Plaintiffs’ expert proposed a class wide measuring methodology for class-wide impact analyzing each step of the distribution chain of device sales data using ‘hedonic regression’ to determine the relative importance of the variables affecting prices of any good. The expert model employed the same ten quality-control characteristics utilized by Qualcomm’s experts’ submission in the FTC litigation. Applying this common statistical model, plaintiffs’ expert calculated the pass-through rate for each segment of the distribution chain, including OEMs, contract manufacturers, wireless carriers, distributors, and retailers, finding positive pass-through rates for each market participant, especially those for OEMs and retailers, were exceptionally high, often exceeding 90% or 100%. Such high rates indicate that a substantial portion of cost was passed through. Hence, the court found predominance as common proof could be used that Qualcomm’s above-FRAND royalty charges are passed through every level of the distribution chain to consumers. Relying upon Daubert v. Merrell Dow Pharmaceuticals, Inc. Qualcomm predominately attacked plaintiffs’ expert’s methodology as inadmissible. However, the court found that hedonic regression is a widely accepted econometric methodology satisfy the four Daubert factors of testability, peer review and publication, measurable error rate, and general acceptance. And while Qualcomm argued the regression results were built on completely unreliable data, the court found it only bearing on weight, not admissibility, particularly as plaintiffs’ expert used the same the same quality-control characteristics Qualcomm’s own retained expert’s submission to the FTC. The court emphasized these arguments go to the merits of the case, but inapplicable for class certification purposes. while California has an interest in applying its law, other states have no interest in applying their laws to the current dispute. The court made a finding that Plaintiffs provided a damages model that fits their liability theory and could measure damages across the entire class. Qualcomm contended that the district court’s ruling defies the U.S. Supreme Court’s ruling in Illinois Brick Co. V. Illinois, barring class actions for indirect purchasers. 25 states, including California, have passed laws ‘repealing’ Illinois Brick Co., but Qualcomm argues in its petition to the Ninth Circuit that the certification order should not have been applied to those states that have not passed repealing statutes. As to the superiority of proceeding as a class action, the court found that the amount at stake for each individual class member is too small to bear the risks and costs of litigating a separate action, that there were 36 separate actions pending that had been consolidated pursuant to an order from the Judicial Panel on Multidistrict Litigation (“JPML”), and that three class action claims administrators confirmed the ability to reach a minimum of 70% of the estimated 232.8 million to 250 million class members using commonly approved and utilized notice methods of large antitrust class actions. As this case works its way up to the U.S. Supreme Court these ‘Choice of Law’ and Daubert issues will certainly predominate.